This July marks FIVE years that my Mom lost her fight with breast cancer. Five full years of learning how to navigate my life without her. In years past I have honored my mother who passed of metastatic breast cancer on July 21st, 2013 by participating in walks such as AVON39 or Making Strides with the goal to raise money to help facilitate in being a small part of finding a cure. This year, AVON39 teamed up with the American Cancer Society, becoming the first ever National Presenting Sponsor for American Cancer Society Making Strides Against Breast Cancer events. However, I wanted to take my love for photography, my commitment to finding a cure, and my belief that without the love of my own family and friends I could have NEVER been the caregiver I was to my mom. From now until the end of October I would like to capture other families who are the cheerleaders and supporters of the women who are carrying the TRUE HOPE, believing breast cancer won't define them. Women, like my Mom, are the fuel that helps family and friends BELIEVE we can all be apart of finding a cure so that no one has to suffer. There is no cost for the session. I will travel to any destination on Long Island. Every session that is booked with me will receive the edited images on a flash drive. I will then showcase my favorite images from each session and display them on my website for others to find HOPE and BELIEVE that LOVE can pull you through. My goal is to empower women, to have each of my subjects choose how she would like to be portrayed, and to illuminate each woman's beauty. To capture their beauty, the love they have for themselves, the love they have for the family and friends. The project is just in the beginning stages, with some good connections and very strong will, I want to make the project a success for increased awareness of the emotional and psychological impact of cancer. 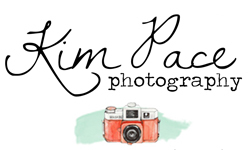 If you know of a family or friend that would be interested in this type of photo session, please have them email me at kim@kimpacephotograpy.com or text me at 516-983-4630.